If you are anything like me then you don’t pop open the hood of your car unless there are a pair of human legs protruding from within, and even then you are somewhat puzzled about to actually get the car hood open. Even for the most mechanically challenged however, figuring out how to get into your engine compartment to test for your basic fluid levels is the least you can do to try and keep your vehicle running at its very best. Once you have pried out the secrets of opening your hood, you should consider your full range of engine problems and your potential solutions. Signs that may portend that your car needs to be taken in for a look see include spewing excessive smoke from the tail pipe, knocking or tapping sounds that your car stereo can no longer cover up, and such problems as low oil pressure, high oil consumption, low compression, and water mixing in with the oil. While a number of culprits can be the cause of these problems, in general, normal wear and tear, poor maintenance, or lubrication problems might be cause for concern. 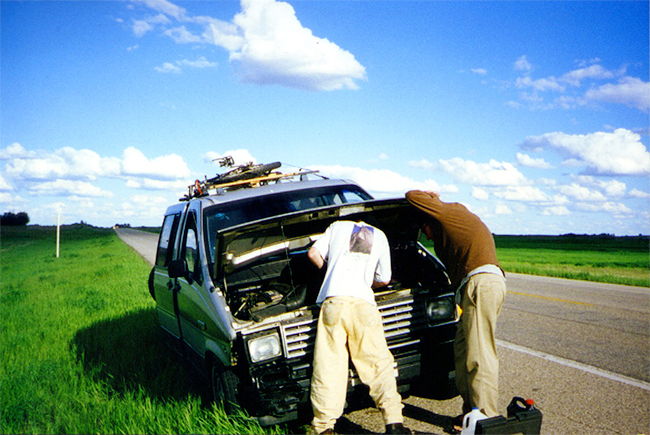 I believe the Engine Has Died: Now What? Just because your car’s engine has “given up the ghost,“ does not mean that the rest of your vehicle is ready to throw in the towel. The natural inclination of most automobile owners upon hearing that their baby is on the “hurt table” with a case of the terminals is to cast about for a new ride to get them to work the next day. The truth is however, just because your engine has died does not necessarily translate into buying a new car being your best available option. Indeed, if the rest of the vehicle is in reasonably good repair, then it might make sense to repower your car or truck with a rebuilt engine rather than going through the expense of buying an entirely new vehicle. Every new or used vehicle purchase includes hidden costs that invariably hike the purchasing price of a new car whereas, a rebuilt engine might cost but a fraction of a new car or truck. What Exactly is a Rebuilt Engine? As the name implies a remanufactured engine is one that has been extensively remade to meet all prescribed standards and design specifications. Highly trained machinists, using state of the art equipment, completely re-wrought the engine including installing new parts and components that are designed to meet or exceed all factory expectations. Rebuilt engines are not only an affordable way to breathe life back into your otherwise perfectly functioning automobile, but they frequently come with an ironclad warranty that instills peace of mind in the car owner. Choosing to repower your vehicle with a remanufactured engine will save you money over the long run from either ignoring the problem, or buying a new vehicle as a replacement. A rebuilt engine will get better gas mileage than the worn engine you have been driving around on, and replacing it will save you big money over buying a new vehicle. In addition to doing your wallet a favor, you are also doing the planet a favor because rebuilt engines spew fewer pollutants into the air, and like all rebuilding/recycling efforts, the endeavor cost fewer resources than building a new engine from scratch or the costs associated with discarding an old motor. The typical remanufactured engine is normally delivered with a comprehensive 12-month, 12,000-mile warranty, while others feature a 36-month, unlimited miles package dependant on the service station. It is comforting to know as you pull out of the shop that you have your back covered with the protection that a warranty affords. When casting about for a mechanic to discuss your full range of available options when your engine decides to die, make sure that you are dealing with a reputable shop to complete your repairs. Do your due diligence by checking with your town’s Chamber of Commerce and the Better Business Bureau to check on the shop’s bonafides before agreeing to any work being completed. The cost of choosing to rebuild your engine will vary dependant on the make and model, but generally speaking, the cost of a rebuilt motor can be as little a tenth of the price of a new vehicle.